It's all about the numbers when it comes to financial improvement of a business. Data comes from all departments and is used differently by operational management, executives, sales managers and others. It's hard to rely on information that is inconsistently compiled and analyzed by various heads and employees. How do you establish data integrity while finding value in your data and reporting? You need information to develop and manage strategic initiatives aimed at sustaining a competitive advantage. The value that follows is profitability improvement, top line growth, risk management and better productivity. Reports are available among different departments and teams in ways that allow them to focus in on their expertise and high-level reports help identify opportunities hidden by mounds of data. Data automation is a key component in capitalizing on your growth opportunities. Time is money, so how do you save on time? Don’t spend it. Automation allows for better resource allocation and with Vizion there are experts behind the screen. We have been creating and consulting on the newest in data solutions and technology for over 15 years and can be a partner to boost your success. Our solutions can save you over dozens of hours and a lot on costs associated with compiling, reporting and analyzing data, something that is crucial to any company. Vizion360 analytics have been showcased as an industry-leading Microsoft Power BI Solution. With apps that offer interactive dashboards and reporting and solutions separated into focused areas for your needs, you will see your top line rise in no time. 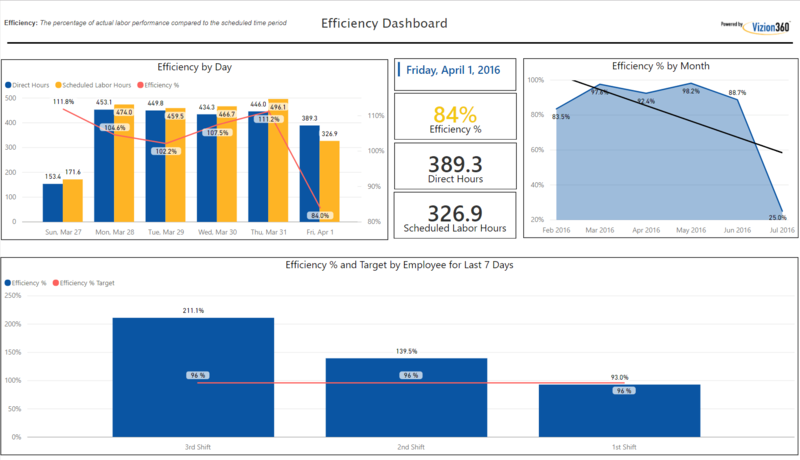 Our dashboards are interactive and offer varied reports and graphics that allow information to be displayed in a way that brings opportunities and gaps to the forefront. Reading and analyzing reports can be a pain for many departments and that could be hurting your information. Manual data analytics lead to gaps, loss of integrity, wasted resources and missed opportunities. Apps make it easy for different department heads to get the relevant data they need to make better decisions that lead to profit growth. Consolidate and organize data from multiple sources and business areas. Automate and standardize reports across the organization. Make data analysis easy with a point & click user interface. Close and eliminate existing data gaps. Vizion Solutions is featured in Microsoft's partner showcase for our industry-leading BI solutions. See why we beat out the rest and are a top Microsoft Partner. Sick of spending your resources writing reports instead of working on projects? Read this case study to see how our client freed up over 80 hours a week! Bob Hanzie, CFO of Libra, says Vizion "has allowed us to improve our operations". See how you can better your operational efficiency by reading about client success in this case study. Ready to Take on Your Data? Our Solutions are Available on All Devices! Whether you’re at the office, catching a flight, on a family vacation or just having a cup of coffee on a Sunday morning you can always stay connected.